“But I don’t want to sleep! I want to plaaaayyyy!” Does this phrase have a familiar ring to it? It is quite common for a toddler to start to decide nap-time is not quite fun-time. Staying awake is much more exciting and interesting. You might take this resistance to nap time as a sign that it is time to drop naps all together. (This post contains affiliate links). Before you take that step, please reconsider! In the book Healthy Sleep Habits, Happy Child, Weissbluth says, “Between twenty-two and thirty-six months, most children still need to nap” (page 313). I fully agree with this. Wants and needs are very different things, and just because your child doesn’t want to nap, doesn’t mean your child doesn’t need to nap. Of course the process of keeping the nap in place is easier said than done. 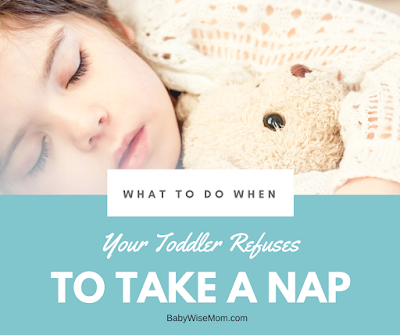 So what should your do when your child wants to drop that nap but you still need nap to happen? I have been told how lucky I am that my children nap until they are quite old. This is no luck! Do not not be fooled; I have had some resistance to naps over the years. Of course a toddler has better things in mind other than napping! They want to delay, prevent, and stop the nap at all costs. Little toddlers get quite creative. Some get quite angry. But you don’t drop it. You stick with it. Keep nap time in place if you want nap time to continue. 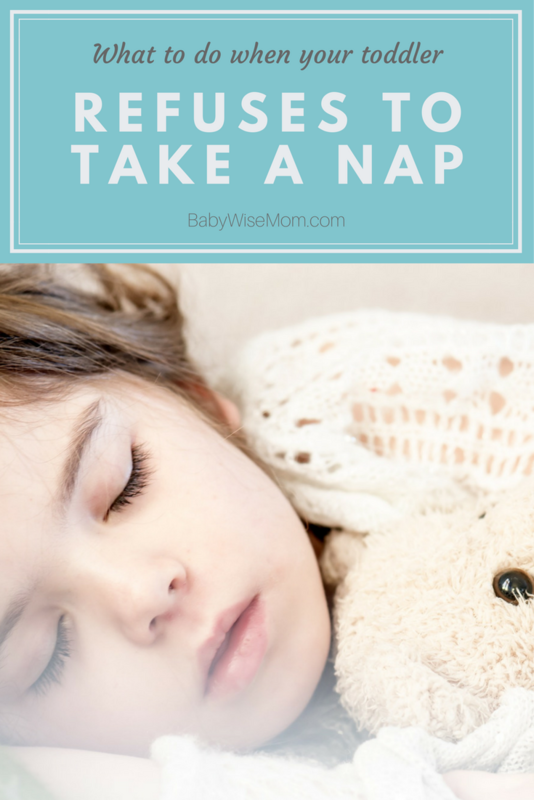 For help knowing when to drop naps, see my post on how to know when your child is ready to stop napping. When your child is ready to cut back on napping, implement rest time. You have some time yet before you will be totally dropping this chunk of time in the afternoon known as nap time. Your child will sleep better if you have some activity in the morning that challenges her mentally. Learning activities will help work her brain and give her body need of sleep to process what she has learned. You also want physical movement. Gross motor movement. Go for a walk. Blow bubbles for her to chase. Get a little trampoline for inside the house or a ball house so she can move and get physically tired. Your child will show the least amount of resistance to nap time if you get the start time of naps correct. This takes us back to thinking about waketime length just like we did with babies. Some children are incredibly sensitive to the timing of this nap. When Brayden was a toddler, we had a ten minute window, and if I didn’t meet it, nap didn’t happen that day. He stayed awake. Keep a log and find patterns for when nap works and when it doesn’t. A possible reason for no naps is having bedtime either too early or too late. It can be either one, so you will need to experiment with earlier or later bedtime to see if that solves the issue. Weissbluth says, “Ask yourself whether napping is your child’s problem or your problem” (page 327). This is a moment where you need to be really honest with yourself. Do you have a hard time being home each day for nap time? If so, you are not providing the consistency your child needs to get a nap in. I promise your day will come when you will have the freedom to take off and go shopping, go out to eat, or just run errands during the afternoon. For now, get out in the morning hours if you must get out and be home in time for nap. Two year olds often have a sleep regression. It is normal, it happens, and it isn’t anything to freak out about. Remember back to the four month sleep regression? Baby’s sleep went crazy? You are facing the same thing. Sometimes the answer is to just keep going as you have and wait for the regression to end. Why Not Drop the Nap? You might be thinking the effort to keep the nap is too great or that it would actually be really nice to be done with naps. So why not just drop it? Dropping sleep before the child is ready for it leads to a sleep deficit. Sleep begets sleep, and in the same way, lack of sleep leads to lack of sleep. The child who should be napping but isn’t will eventually start having a hart time falling asleep at night or start waking earlier and earlier in the mornings. Sleep deficits usually take a few weeks to build up, so you often don’t put the cause and effect together. Your toddler won’t always thank you. Your toddler probably won’t thank you at all for requiring sleep! When your little one emphatically proclaims that she doesn’t want to sleep, gently tell her you know that, you understand it, but her body needs sleep.